Project aim is to promote equal attitudes towards persons with disabilities and to improve social inclusion of persons with visual impairments. It will be reached by strengthening cooperation, raising society awareness and improving competencies of specialists, improving social infrastructure and accessibility, efficiency and diversification of social services. 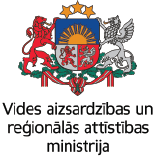 Adaptions according to Universal design principles for visually impaired disabled persons are essential and still an innovation in Latvia and Lithuania. Social services and infrastructure in Latvia-Lithuania border regions will be improved by adapting infrastructure, equipment and providing targeted events. Visually impaired and disabled persons will be main beneficiaries of the project. Adapted infrastructure and equipment will be useful for service users, general public and tourists. Project provides complex solution for improving quality of life for persons with visual impairments and disabilities, for reducing discrimination and ensuring better possibility to participate in economic, social, political and cultural life in border regions. Learning together about needs of visually impaired persons and possible solutions, developing and providing similar services, will strengthen cooperation of organisations in Programme territory.